Common challenges include employee logistics, such as multiple locations, work shifts, turnover, and eligibility status (e.g., full-time/part-time). Working with your UBA consultant—along with carrier partners—and thorough planning, will help you pin down these important basics to open enrollment. Another growing challenge is how to effectively communicate to a multigenerational workforce. Consider the following scenario: You are kicking off open enrollment in a traditional fashion with group meetings. You have invited your UBA Partner benefits consultant team, along with various vendors representing medical, dental/vision, the health savings account (HSA), voluntary benefits, and the 401(k) plan. In any given group meeting, you might have an employee mix ranging from younger, single employees, to married (with or without dependents), to older employees not far from retirement. Then, of course, there are also gender differences, and possible multicultural and language differences. At this point, the benefits presentation is competing against everything else this person has going on in his life. This is a mindshare issue and it underscores the importance of reaching employees on an individual level. Contrast this experience to that of someone new to the workforce. He or she may be asking themselves, “What is a premium? What is coverage? Is that like comparing Verizon to AT&T?” These are real questions asked by Sun Life interns. Advertising and marketing companies spend significant dollars and time trying to understand our buying behaviors to create more effective advertising. In our world of employee benefit communications, we are learning quite a bit about how different communications methods work for certain demographics. Much of the recent conversation is regarding Millennials. In truth, you are meeting the needs of three key age demographics in the workplace: Baby Boomers, Generation X, and, of course, Generation Y (Millennials). All have very different life experiences influenced by what they observed growing up and then entering, and maturing, in the workforce. One theme that is constant, regardless of the communication method — people want to have personalized solutions, with examples of benefits that work for people like them. They also want to understand what’s being offered to them. That’s not been an easy task, yet there has been progress in various online decision support tools to help different employee demographics navigate the benefit landscape. At Sun Life, we have seen great success in the traditional one-on-one employee enrollment meetings. Employees have the opportunity, prior to open enrollment, to see videos and read about the offerings. 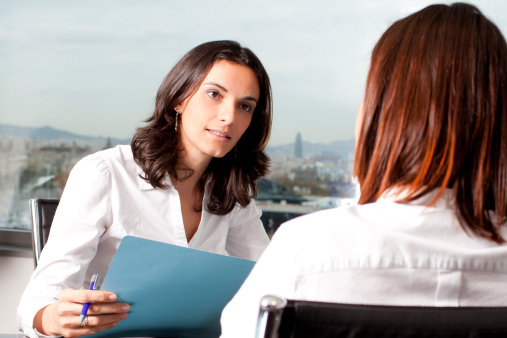 Then, they sit one-on-one with a non-commissioned benefit counselor who can explain plan options and how they might help an employee’s specific situation. Sun Life is also investing in newer technologies, and using data analytics to improve customization potential. Knowing your audience and leveraging the power of personalization, with the support of your UBA consultant, will help you achieve success in strategic benefits communication.